Casino software has moved in leaps and bounds over the past few years, with many new companies emerging to strengthen competition in the gaming marketplace. As gaming developers strive to offer better, more innovative creations than their rivals, players benefit hugely from this friendly competition with games that are not only visually spectacular but also come with all kinds of bonus features. 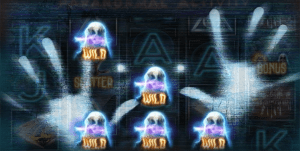 The different themes and bonus games that can be utilised with pokies gives developers’ great creative freedom, resulting in some truly unique, fun concepts. Microgaming started it all, releasing the first ever legitimate casino back in 1994 and holding the title as one of the industry’s biggest names ever since. 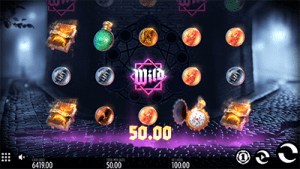 Many reputable casinos like Royal Vegas Casino and All Slots are powered exclusively by Microgaming, offering hundreds of games that include licensed collaborations like Game of Thrones, Jurassic Park, Bridesmaids and Tomb Raider. Some Microgaming pokies have been around for years and may be a bit outdated for younger players, but new titles are being released constantly to keep up with the times. Microgaming is also responsible for the biggest network of progressive jackpot pokies including Mega Moolah, Major Millions and Treasure Nile. Net Entertainment, affectionately known as NetEnt, is a Swedish based gaming company that has taken out award after award, including the eGR Game of the Year in 2015 for the whacky and lovable Spiñata Grande. The NetEnt pokies portfolio includes some of the most popular casino games on the Net, including the likes of Gonzo’s Quest, Starburst, Aliens, South Park Reel Chaos and Dracula. When it comes to premium graphics, fun animation and clever thematic ideas, NetEnt takes the cake. You’ll find all the best NetEnt pokies at trusted sites like Rizk Casino and Slots Million. BetSoft is the messiah of 3D casino gaming, with an extensive catalogue of true cinematic 3D pokies known as the Slots3 collection. Playing Slots3 games is like a combination of watching a Pixar film while enjoying the excitement of winning real money. BetSoft is also responsible for the BetSoft ToGo line of mobile games, which means players can enjoy the most popular Slots3 titles flawlessly optimised for smartphones and tablets. Try BetSoft pokies at Guts Casino. Play’n Go is a Swedish gaming company that prides itself on being a team of “computer geeks turned gaming pros.” The brand has built up an impressive catalogue of games over the year, mostly consisting of pokies but along with a bunch of table games, video poker and virtual scratchies. Leading releases like Rage to Riches, Eye of the Kraken and Tower Quest prove Play’n Go’s commitment to thinking outside of the box. Give Play’n Go games a spin at Slots Million. iSoftBet games have started to become more popular with online players due to some obscure movie and TV collaborations, bringing pokies to life that we never would have dreamed of like Rambo, Basic Instinct, Beverley Hills 90210, The Love Guru, 24 and Platoon. iSoftBet games are nice and light-hearted and there’s some decent progressive jackpots in there too. 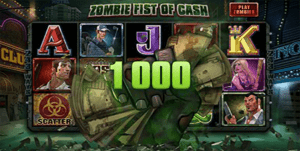 There’s a great range of mobile optimised iSoftBet games which can be found for iOS and Android play at Slots Million. Building a strong collection of incredible games since 2005, Rival is a world leader when it comes to casino games, forming partnerships with some of the most successful casino operators over the years. 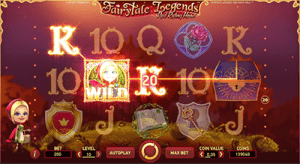 Rival games became popular with online players due in part to the iSlots collection, story based pokies where the user progresses through a story line while also taking winnings along the way. You’ll find tonnes of Rival pokies at Slots Million including three reel slots, five reel slots, iSlots and progressive jackpot pokies. The Thunderkick game portfolio is small but spectacular, and we have our sights locked in on this relatively new gaming developer. Based in Sweden, Thunderkick is a young company with some zany ideas that translate into entertaining game play and we expect big things to come from these guys in the future. Their game releases are on the high-end boutique scale, with titles like Esqueleto Explosivo, Sunny Scoops, Toki Time, Birds of a Wire and the Rift being amongst the most impressive slot games available online today. NYX/Next Gen Gaming is a collaboration responsible for some of the world’s leading online slot games. NextGen Gaming is the Australian extension of NYX Gaming, an industry leading brand responsible for over 300 casino games including popular pokies like Foxin’ Wins, Merlins Magic, Psycho, Judge Dredd and An Evening with Holly Madison. Together these two premium software developers provide games with a special focus on mathematics and prize distribution in order to create more excitement sooner. Follow our links to play pokies from these leading software providers and many more. 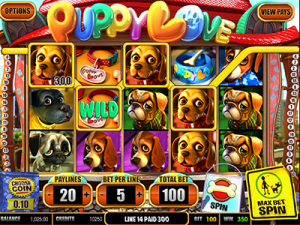 Games are available for free play in demo mode or for real money bets using Australian dollars. New games are being released by the week, so register for an account with our recommended casino vendors to stay in the loop of new pokies as they become available.